It doesn’t matter what type of company you are starting, you will need to know how to talk about it. Here are 4 tips to help you pitch your start-up. You need to be able to communicate what sets you apart in 10 words or less. It’s best to tackle the problem and solution. When creating your elevator speech, think less about you and more about the benefits your start-up will provide and the philosophy you embrace. 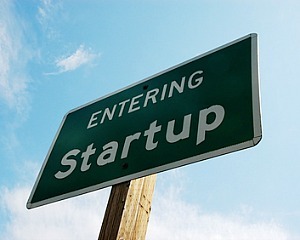 Start-ups generally exist to solve a need and fill a niche. Your elevator speech should clearly tell what that is. Quantify, and qualify, it before describing your unique solution to the problem or issue. Most companies and start-ups don’t know how to tell their story. The media, investors and public want to hear your story from the viewpoint and benefit of the end user. Describe how your start-up intends to reach those audiences. Will your company leverage online marketing, social-media channels, provide free training, or offer discounts or trials? Whatever tactics you choose to implement will help increase credibility and interest. Lastly, it’s best to embrace the wonderful world of entrepreneurship. While the road to success may be difficult for entrepreneur you may as well enjoy the trip. Just remember to ask for help along the way. There’s lots of support available for start-ups to take advantage of. Here are 5 important tips to consider when approaching investors (or thinking about it). 1. Cash is king. Be sure to build up and prove you are able to manage your cash flow. Cash flow management can easily kill your companies – be careful! 2. The company must have sales. Angel Investors and Venture Capitalists will invest after you have your first customer. If you’ve ever watched Dragons Den you need to have a history sales before looking for investors. 3. Keep investors top of mind. Consider your family, friends and co-founders – are you comfortable losing their money? Keeping them top of mind will, hopefully, help you make sound business decisions. 4. Decide if control of your company is absolutely necessary. Company control is relative and should align with your personal and professional values. 5. Practice telling your story. It will be very important for you to set yourself apart from the competition and address your ‘so what’ factor.